Centipedes are typically harmless to humans, but they do have poisonous bite that can cause mild irritation. Centipedes are yellowish to dark brown, house centipedes are grey-yellow with three stripes down the back and very long legs banded with white. Centipede are typically harmless to humans, but do they have a poisonous bite that can cause mild irritation. Centipedes are yellowish to dark brown, house centipedes are grey-yellow with three stripes down the back and very long legs banded with white. They range from 0.3 to 15 cm long. The flattened body has 15 to 177 body segments with one pair of legs each. Centipedes are found outdoors where there is moisture and decaying organic matter such as under trash, grass clippings, mulch and rotting firewood. However, during the winter months they can invade properties and find damp conditions to live in, especially during the winter. Centipede reproduction does not involve copulation. Male centipedes will weave a capsule of sperm called a spermatophore for the female centipede to take in. In some instances, this spermatophore is weaved into a web where the male performs a courtship dance to encourage the female to take their sperm. Other times, the males just leave them for the females to find. Centipedes can live between a year to six years. How do l recognize a centipede? Centipedes are yellowish to dark brown, house centipedes are grey-yellow with three stripes down the back and very long legs banded with white. They range from 0.3 to 15 cm long. The flattened body has 15 to 177 body segments with one pair of legs each. Are centipedes dangerous to humans? 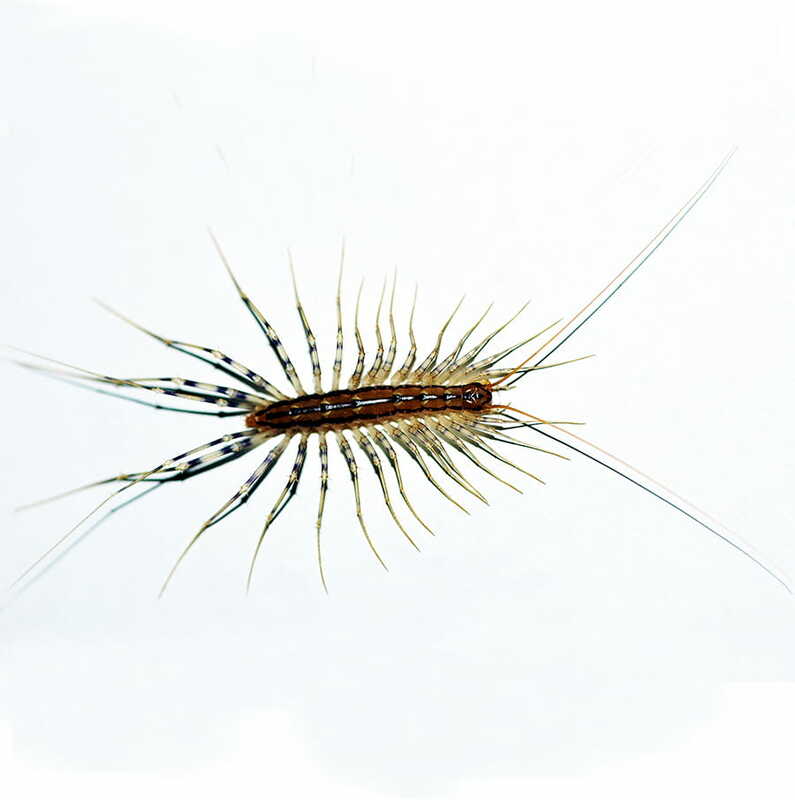 Centipedes are typically harmless to humans, but do they have a poisonous bite that can cause mild irritation. Where do you find centipedes? Centipedes are found outdoors. However, during the winter months they can invade properties and find damp conditions to live in, especially during the winter. 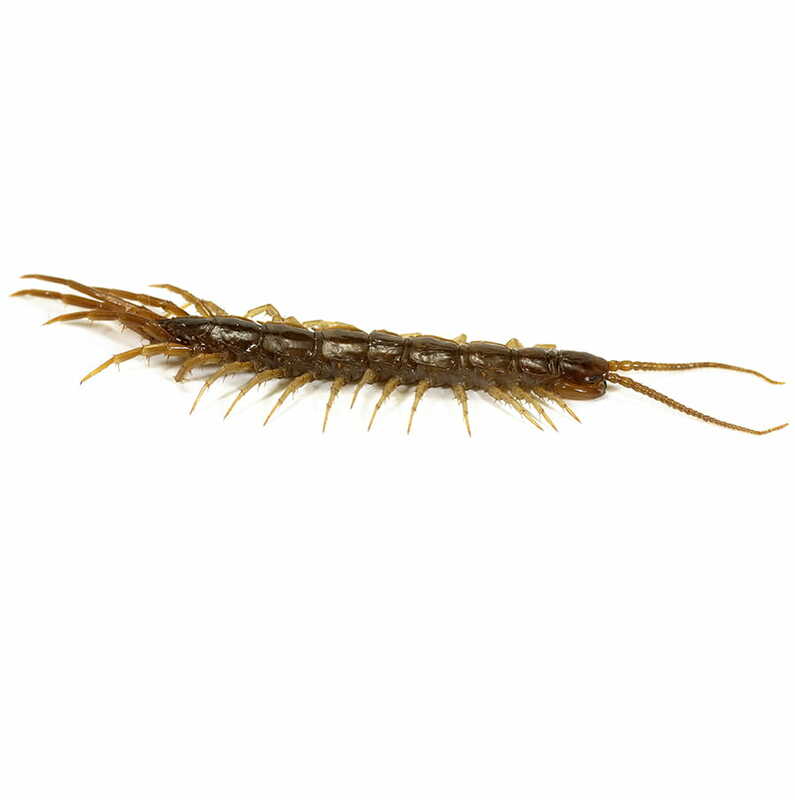 If I have an infestation of centipedes, what can be done to eliminate them? 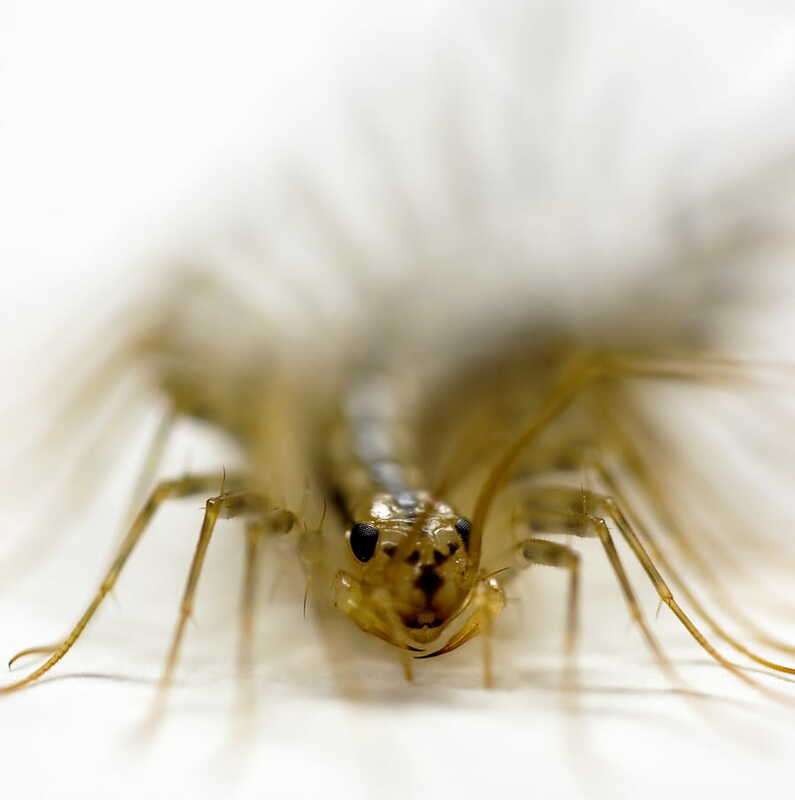 Centipedes feed on other small household pests, so once you can eliminate other small pest from your property, you'll more than likely get rid of the centipedes as well. Close off entry points and use sticky tapes to trap remaining centipedes.